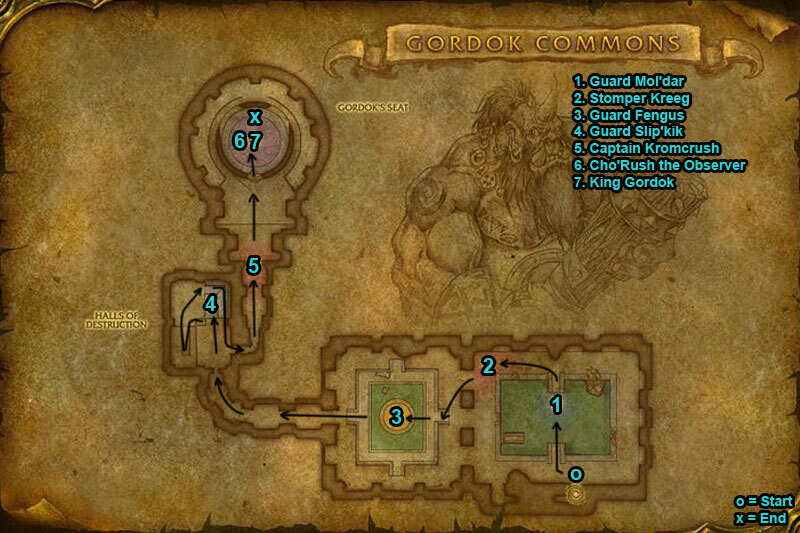 You can find the Dire Maul Gordok Commons dungeon within Feralas, Kalimdor. Go straight down to the back of Broken Commons & you will see against the back wall small doorways, the left one is shut and the right one is the dungeon entrance. /i His attacks cause physical damage. Shield Charge knock a player back. Calls for help at 50%. Goes into Frenzy. /i Knocks back with War Stomp. Avoid front cone Booze Spit which reduces chance to hit by 75%. Drunken Rage increases his speed. Goes into Frenzy. /i Try clearing surrounding mobs before boss fight. His attacks deal physical damage. Shield Charge knock a player back. Calls for help at 50%. Goes into Frenzy. /i Shield Charge knock a player back. His attacks deal physical damage. Shield Charge knock a player back. Calls for help at 50%. Goes into Frenzy. /i During Mortal Cleave players healing will be reduced by 50%. Fears players. At 50% health boss summons 2 Gordok Reavers to fight. /i He will randomly choose a class, he will either be a priest, shaman, or mage. He will have healing spells on priest & shaman. /i During Mortal Strike players healing will be reduced by 50%. War Stomp stuns nearby players. Knocks a random player in air dealing physical damage. The quest “Unfinished Gordok Business” is @ WowHead marked as obsolete: Se http://www.wowhead.com/quest=7703/unfinished-gordok-business. I guess it is too complecated to do in a LFD. 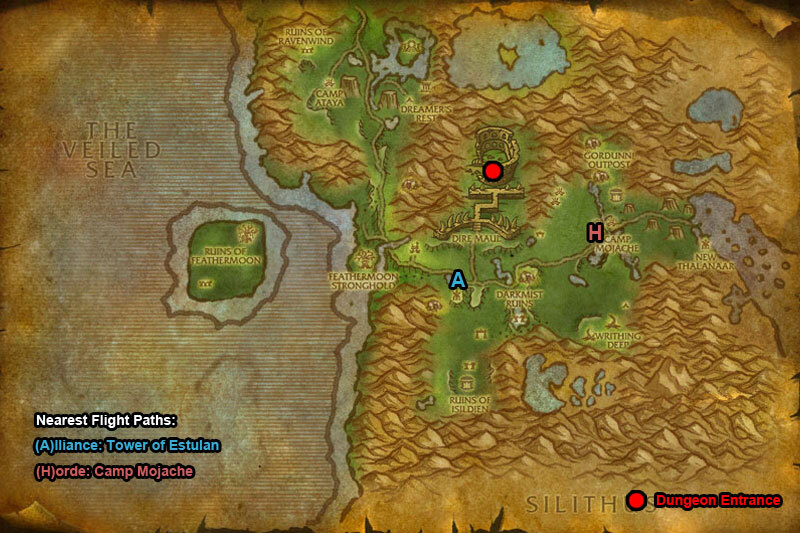 Many of the mobs in here Mortal Strike and Sunder Armor and can be intimidating if you’re inexperienced. If you’re tanking, don’t be afraid to use defensive CDs on these trash mobs. Many of them hit harder than the bosses as a group.